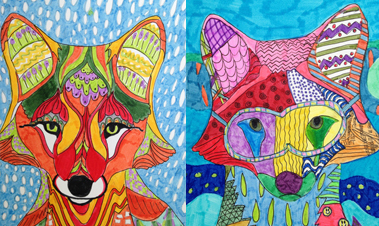 Art Summer Camps 2019 - Art Lessons Available! 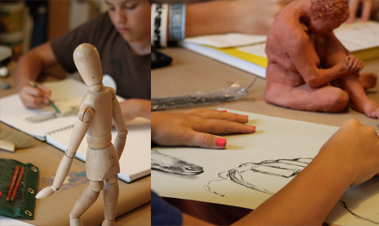 This high-quality fine art program offers art instruction that goes far beyond cut and paste, and arts & crafts. It offers art students basic understanding of how to draw and paint and teaches them how to see in a new way. Learn skills and techniques and also learn to break the rules about drawing and painting and create your style. Let's have fun this summer! Each week we will focus on different mediums and grow together as artists. Each student works at their pace, so there is no pressure to slow down or speed up for the group. They could work on a different piece every day or one masterpiece all week. 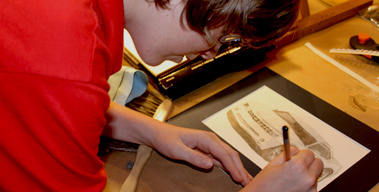 The program allows the student to explore his or her creativity while learning techniques for different mediums. Morning Sessions 10:30am to 12:00pm. During this session, we will focus on drawing techniques. Explore the principles of drawing using pencil and charcoal. Learn to draw lines, shapes, light/shadows, perspective, black and white and color. Classes will help students create a student portfolio to share with family and friends. Every year and every week we create new art! During this session, we will focus on drawing and painting techniques. 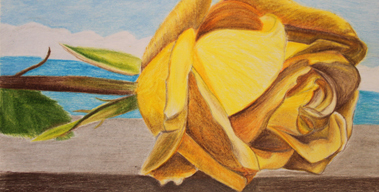 Explore the principles of drawing using a pencil. Then we will use acrylics to transform our drawing into a painting. Classes will help students create a student portfolio to share with family and friends. Every year and every week we create new art! During this session, we will focus on drawing techniques. Explore the principles of drawing. Learn about materials for lines, shapes, light/shadows, perspective, black and white, drawing fundamentals, line volume, positive and negative space, values and composition, using a pencil. Classes will help students create a student portfolio to share with family and friends. Every year we create new art! If you took Drawing on Week 1, join us again, and on this week we will explore charcoal and colors. Learn to create fun Manga/illustrations. Learn how to draw your favorite characters and how to draw your illustrations. Then learn how to color them with markers or color pencils. Develop skills that translate to any realistic drawing: light and shadow, line and tone, perspective and foreshortening, hands, faces, and body action, yet they can learn while drawing the content they want... Manga or illustration! Vanessa is a Copic Certified. So if you want to bring your Copic to class and learn how to use them and learn different techniques, this will be the summer camp to join. 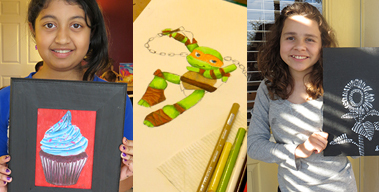 During this session, we will learn how to draw Drawing Characters, Superheros & Heroines. We will learn how to draw the figure, the head, the hands, the feet, the eyes, mouth, and nose. We will learn about human proportions and character shapes. We will learn fun, and fast techniques. Classes will help students create a student portfolio to share with family and friends. If you have always wanted to learn how to create your artwork on the iPad, this is the class for you. I will show you techniques to draw and sketch faster on the iPad and then color them. Using special software, kids will learn the basics of digital art. Let’s create bright, colorful drawings on the iPad. We will create artwork of our favorite subjects nature, animals, people or illustrations. Explore the principles of drawing by learning how to draw your favorite animals. Learn about materials for lines, shapes, light/shadows, perspective, black and white, drawing fundamentals, line volume, positive and negative space, values and composition, using a pencil. Classes will help students create a student portfolio to share with family and friends. Every year we create new art! Let's create bright, colorful watercolor paintings and learn about marker techniques. Learn how to use them, mix them, create different effects and clean them. 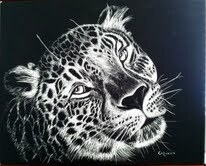 We will create artwork of our favorite subjects nature, animals, people, manga, illustrations or intuition painting. This will be a super fun technique. Using clay or polymer clay, and wire, we will create some amazing characters and sculptures. Classes will help students create a student portfolio to share with family and friends. Learn the linear perspective terms, one point perspective, two point perspective and more. Classes will help students create a student portfolio to share with family and friends. We will learn techniques to draw from life. Examples would include sketching a bowl of fruit (still life) or drawing a street scene (landscape). The drawing is not drawn from either a photograph or the imagination but real life observation. 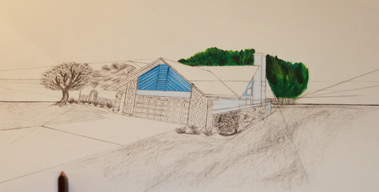 We will work with pencil, charcoal or other drawing mediums but can include collage and painting. We will learn different mediums each day. Pastels, oil pastels, pencil, watercolor and painting. Classes will help students create a student portfolio to share with family and friends. During this session, we will focus on painting styles. Using acrylics, we will transform our white canvases into famous art pieces. We will learn the painting techniques of a different artist. Classes will help students create a student portfolio to share with family and friends. 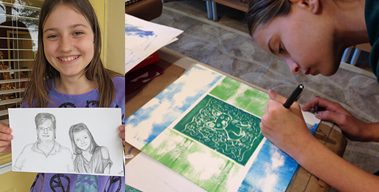 Summer Art Camps Week 8: Learn How To Make Collage Paintings! Get creative with supplies. We will learn how to use paper, glue, found objects, to create ours under texture. Then we use paint to bring these elements together, unifying the piece, adding color, or knocking back elements that seem too prominent. We will create pieces of artwork to hang on our walls. During this session, we will focus on painting techniques. 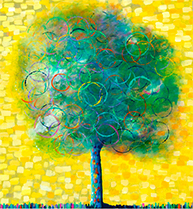 Explore the principles of painting. Learn how to mix colors, create shapes, light/shadows, and contrast. Classes will help students create a student portfolio to share with family and friends. Every year and every week we create new art! Email me and register now! 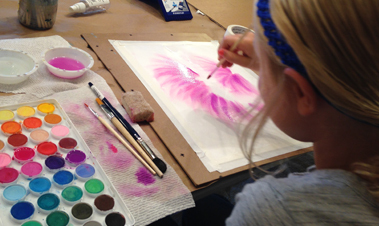 Registration: Due to the popularity of the Summer Art Camp programs, all classes require advance registration and payment. Class sizes are limited to 8 students per class. 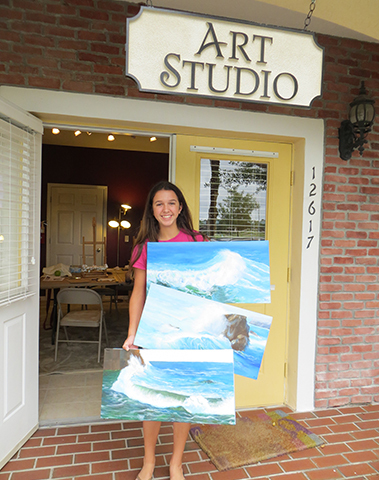 All summer camps take place at my art studio in Westchase. Students must arrive no earlier than 10 minutes before class and must leave no later than 10 minutes after the class is done. All materials are included. All materials provided at the studio stay at the studio. If the student wants to bring their materials so they can work at the studio and home, they are welcome to do so. Students can take their artwork home once it is completed or they can hang it on our student wall of frame. Get $5 off when you enroll for 3 or more weeks. Full refund if canceling by April 30, 2019. 50% refund if canceling May 1-30, 2019. No refunds if canceling June 1 or after. No credits or make-up days given for missed No refunds will be given on or after the class date. If you don’t show up for class, no refund will be given. We reserve the right to combine or cancel classes/ camps that have not met the minimum enrollment. If classes are canceled by Vanessa’s Art Studio, payment will be fully refund. Gift Certificates are now available! Take advantage of the holidays packages and give the best gift to your family and friends this holidays. MeiMei showed us the engrave lion she drew at your studio. It is very impressive and we are all amazed by the detail. I posted it on my social network site, got ton of praise. MeiMei is very happy with it and feel encouraged. I would like to share this with you and THANK you for all you have done to her art learning experience. You open a door to her imagination. 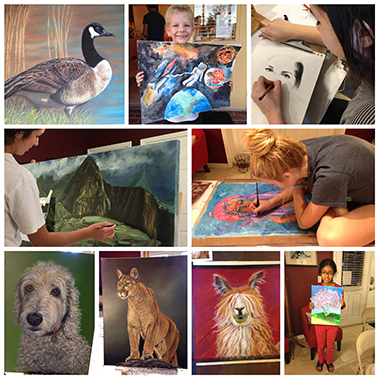 "I have been taking art classes every week with Vanessa; as a result, I have developed my creative skills and foundational principles of drawing and painting. Vanessa’s teaching techniques allowed me to create and learn in a fun and engaging environment that promote creativity, and encourages growing independence. One of the Vanessa’s greatest strengths as an art teacher is meeting my unique needs by developing a personal understanding of my skills and abilities and tailoring lesson plans to accommodate my interests. She also offers one on one support to ensure that I am able to grasp the learning materials and enhance my personal skills." "Drawing is something completely outside my comfort zone and to challenge myself, I decided to take drawing classes with Vanessa. Over 8 or 10 weeks, Vanessa has taught me to draw. Quite amazing really, I did not anticipate she would actually be able to teach me to draw. Vanessa is vivacious, has wonderful ideas to teach you drawing, but be forewarned, she is a task mistress. You won't get off not doing work during the class. On the other hand, you are going to come away, having learn to handle a pencil and produce drawings." I can't express all that you mean to me. You have helped me to find another facet of myself, give me guidelines toward my future and ability to be an artist. When I just first came to you, I was looking for a distraction from my problems and you took me way beyond that. A dream of becoming an artists has come true! Your advice, knowledge and caring mindset are things I have come to appreciate and truly care about. Thank you for opening your home to me. Your home with the light sent of incense has come to be my calming place. A million times. Thank you." Vanessa Montenegro is an outstanding teacher she has exceeded all my expectations. She gives "hands-on" help when needed. Her instructions are clear and easy to understand. I have surprised myself by creating beautiful drawings while under her direction. To sit down in front of a blank piece of paper or canvas and have the images come to life is amazing to me. I can hear Vanessa reminding me to overcome the flatness of the image so that it will "POP", and after following her direction as promised the image comes to life. She makes it so easy, and the end result is a small master piece. Vanessa is supportive and encouraging, she never has a negative comment for mistakes I make; but instead shows me how to turn the mistake into something of beauty. Vanessa thank you for being my Teacher my Mentor my Friend. Taking lessons from Vanessa is one of best decisions I could have made for my painting. Not only is she an accomplished artist but a great teacher too. She challenged me and my skills while building my confidence. My lessons were taught based on my personal goals which Vanessa then helped me accomplish. I now sell my art at multiple locations while I continue to pursue a career as an artist. All images copyright © 2008 - 2017 Vanessa Montenegro. All Rights Reserved. Absolutely no unauthorized use of any art images contained within this site or linked to this site to without written permission from the artist, Vanessa Montenegro. Unauthorized use includes reposting of images, reproducing images in any form or modifying images for either personal or commercial use.